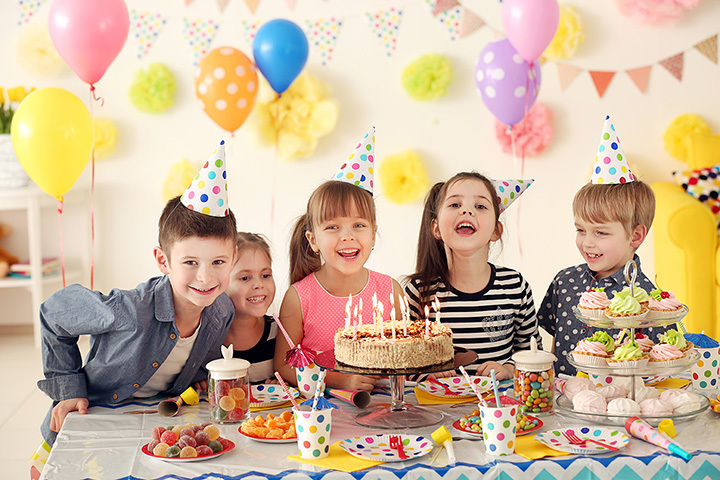 If you’re looking for an awesome place to hold a birthday party for your child and their friends, you’re in luck: Missouri is home to a wealth of options that kids will absolutely love. From magic shows, to zoos, to hands-on museums, create a lifetime of birthday memories at these 10 great spots. The Puppetry Arts Institute hosts super-fun hands-on workshops for birthday parties of up to 20 kids. The host will provide refreshments, and the Institute will provide the materials and guidance for kids to build their own hand puppets—they can even choose from 40 different head options. What better way to make a birthday party magical than to have a magic birthday party? Their magic party place has a bunch of inflatables where kids can bounce out their energy before settling in for a magic show. Balloon animals and goodie bags in the cake room will cap off an awesome time. Kids who are full of curiosity will love a birthday party at Science City at Union Station in KC. They offer two levels of party packages with a variety of themes—like paleontology or robots—that can be designed to fit the age ranges of the children attending. If your child loves animals, there’s no better place to have a birthday than the country’s best zoo: The Saint Louis Zoo. The zoo has several party packages and options from which to choose, like acquatic adventures or really big reptiles, as well as add-ons like goody bags, so you can make a party exactly the way you want it. Artistically-inclined children who love to create in three dimensions will jump for joy when they hear their birthday party will be at the Mud Room. The Mud Room offers a chopice of packages. Children will get to select their own ceramic piece, paint it, and glaze it. Clue Pursuit is an ideal event venue for for kids who enjoy solving puzzles while being active. With locations in Springfield and Kansas City, Clue Pursuit gives birthday parties an hour to escape an immersive themed room in order to get to the cake and presents. A kids art party at GOT Art Gallery is the perfect way to keep party-goers focused and having fun during the birthday festivities. You pick the project and work with the gallery to help plan the party, the type of set-up and decorations you’d like, and then show up and make beautiful art. If the birthday child is a racing fan who just wants to go fast, then Branson’s Xtreme Racing Center is happy to make sure they get their birthday wish. With some of the fastest karts and longest tracks around, speed demons are sure to have a happy birthday. Discovery Playhouse in Cape Girardeau is a children’s museum with many, many fun, hands-on displays and activities. A birthday party at the museum includes an hour and a half in a party room and all-day admission for up to 36 children and adults. There is no better place for a dinosaur-crazed kid (and really, what kid isn’t at some point?) to have a birthday party than the Missouri Institue of Natural Science. You can even add guided fossil hunting and a dinosaur-themed cake to your party. Checking out some real dinosaur bones.